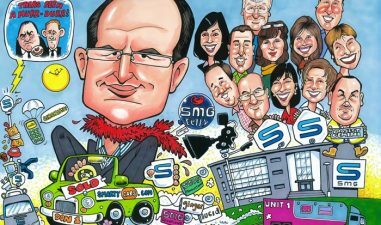 Caricatures of large groups have become a house speciality at the Studio. 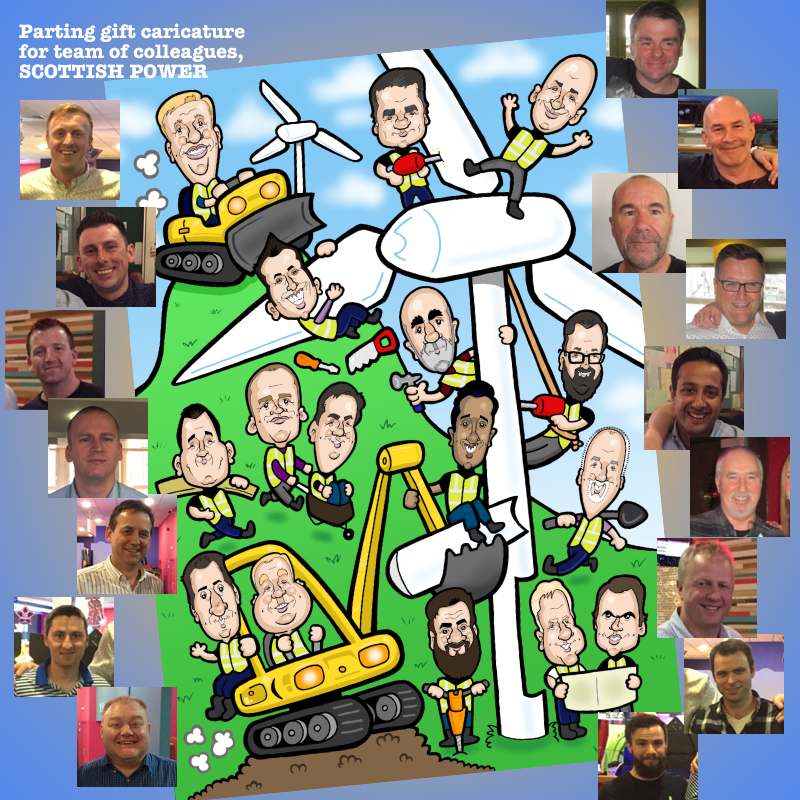 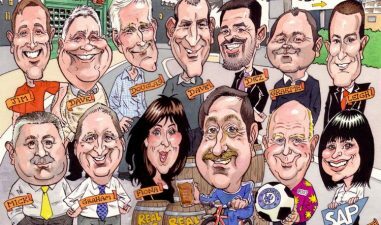 This team of 16 colleagues was caricatured as a parting gift. 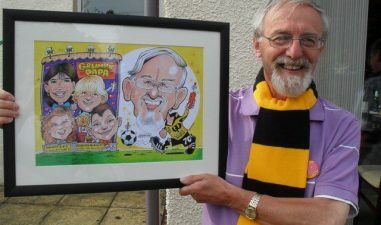 Each member received a framed copy.